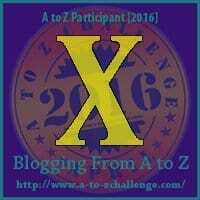 Right from the beginning, I knew that X was going to be the alphabet that I will definitely be using an adjective. 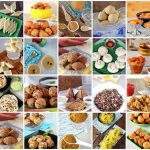 Even after deciding that, it took me forever to decide on one single recipe that I would be making. I was thinking Xtra something all along, but just could not come up with anything special enough. 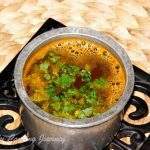 Rasam is a must in our household and we need the rasam if the menu is South Indian lunch/dinner. 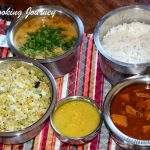 There are several rasams that I make like the tomato rasam, Mysore Rasam, Juice Rasam, Lemon Rasam, Pineapple Rasam, Milaga Jeeragam Rasam, Apple Rasam and so on. 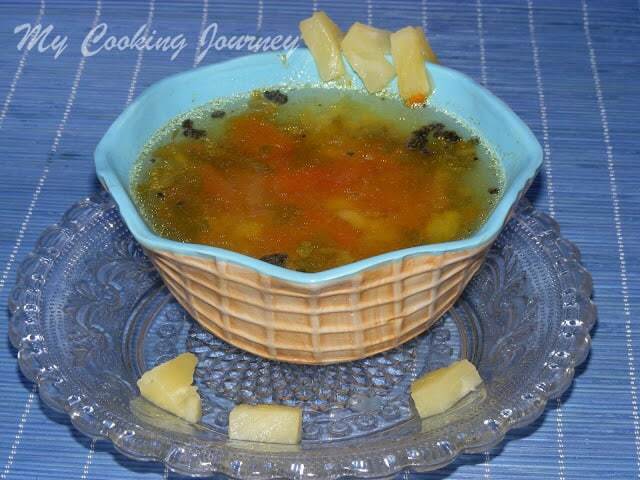 When making the regular tomato rasam, I use the sambhar powder to flavor the rasam. 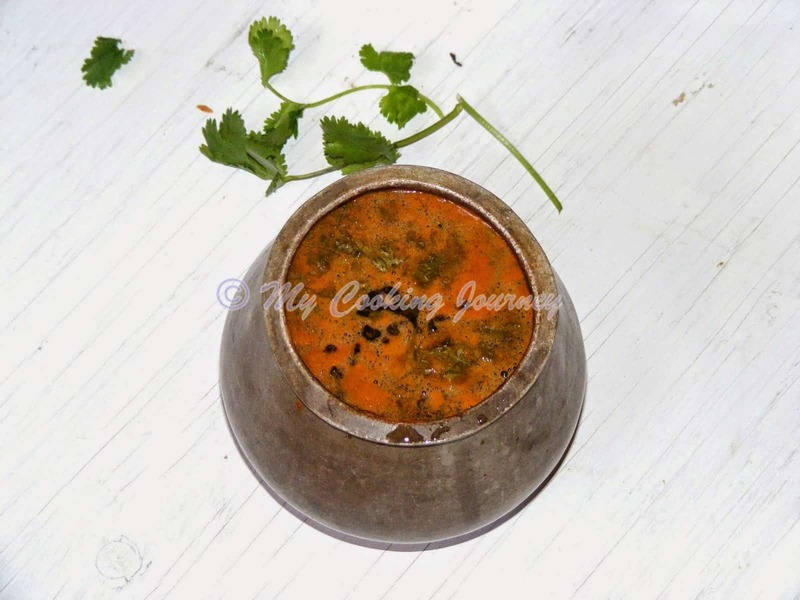 Whenever my Lakshmi Attai (dad’s sister) visits us, she makes a rasam powder for me and I remember that being really aromatic and very different from the regular rasam I make. 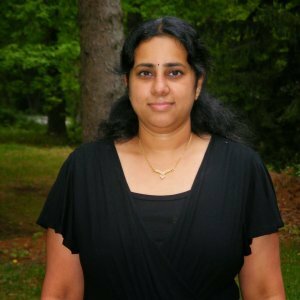 That is when I decide that I was going to be making this rasam powder for the alphabet X as it makes Xtra flavorful rasam. 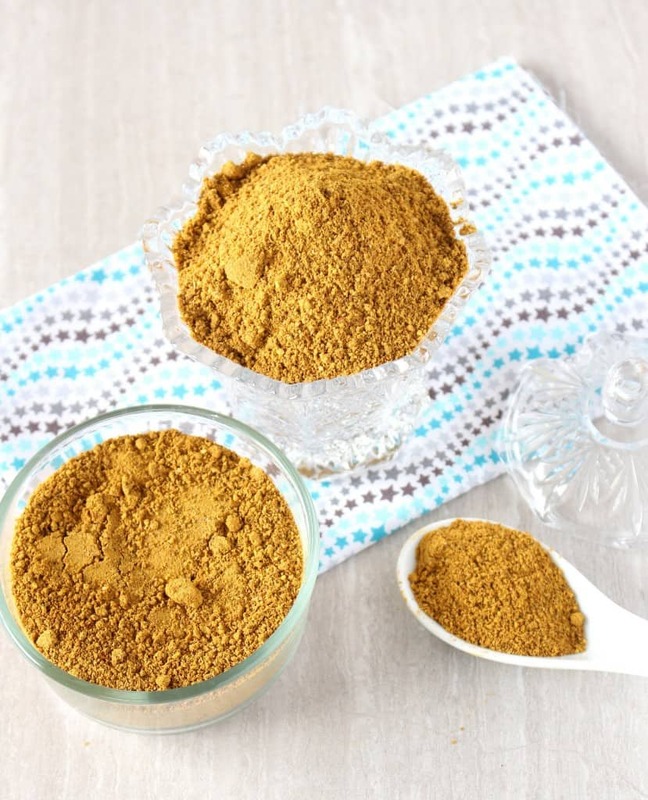 Last night I used this powder to make the rasam and my little one was all praise for my rasam. 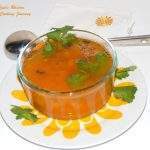 I was very happy that the rasam was loved by my greatest critic in the house. 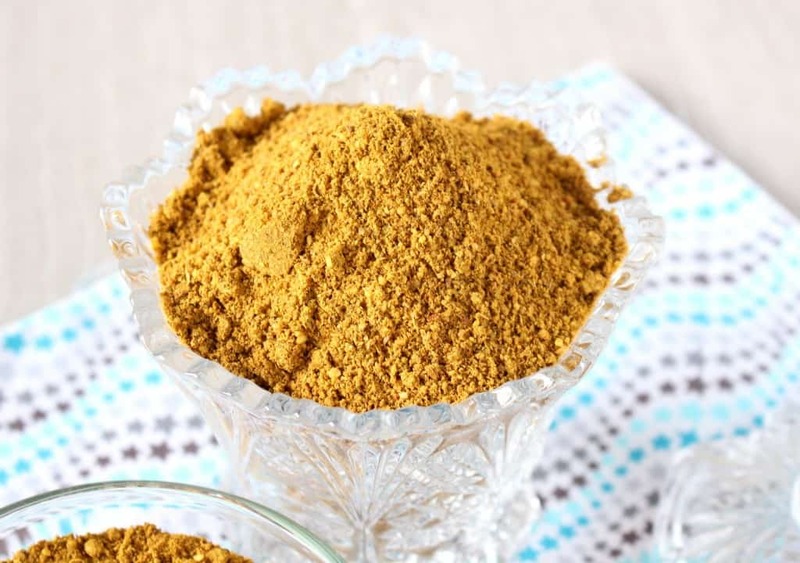 Thank you Attai for your recipe and tips to make this powder. 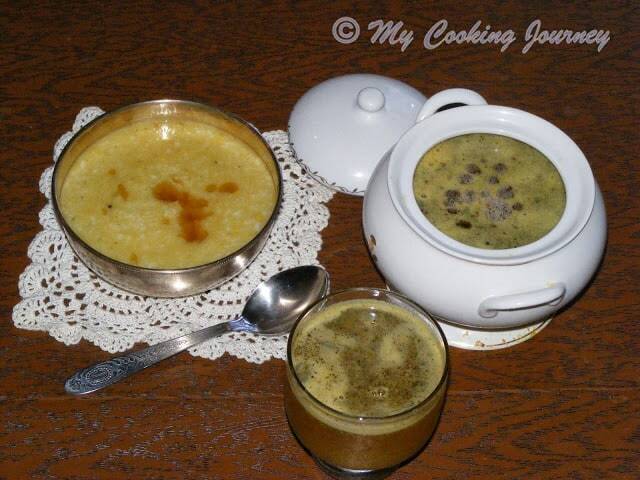 I followed my attai’s recipe to T except for I forgot to add the curry leaves. I had quite a bit of curry leaves in the refrigerator that I was thinking of using for this, but at the final minute forgot to use it. 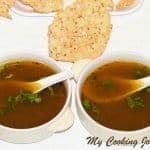 Adding the curry leaves would make the rasam powder even more flavorful and consuming curry leaves is also very healthy. 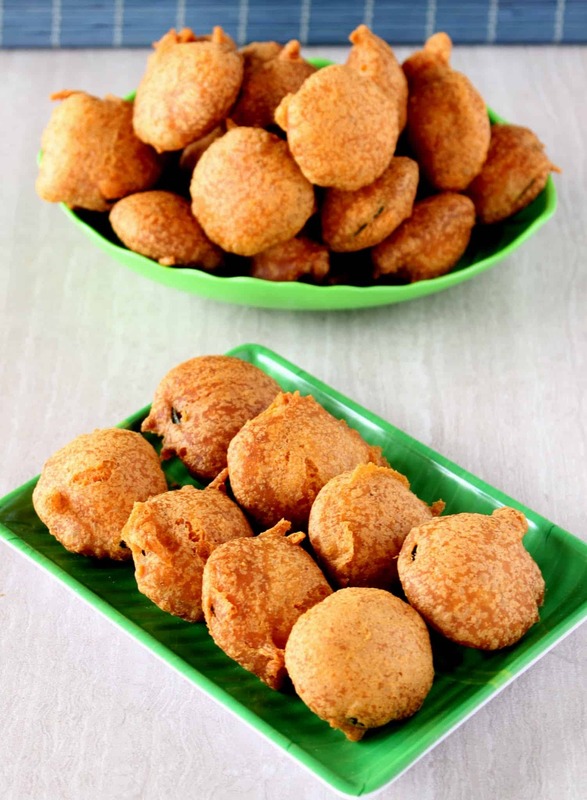 Heat a pan and fry both the paruppu first until they are golden brown. Make sure you keep stirring them and fry them in low to medium heat. Transfer to a bowl. 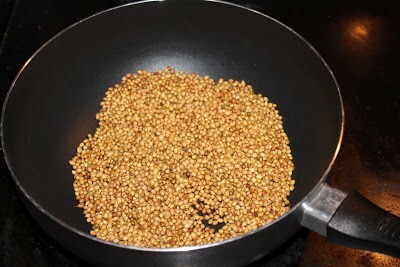 In the same pan, fry the coriander seeds until aromatic and light brown. Transfer it to the bowl with the lentils. 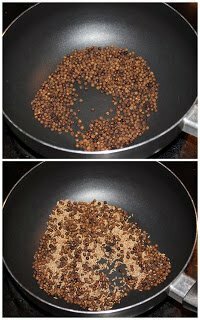 Next fry the black pepper until they start to crackle and become aromatic. 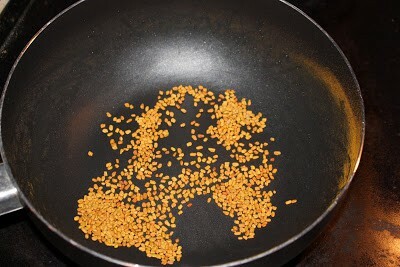 Now add the cumin seeds along with the pepper and fry until the cumin seeds turn brown and aromatic. Transfer them to the bowl. 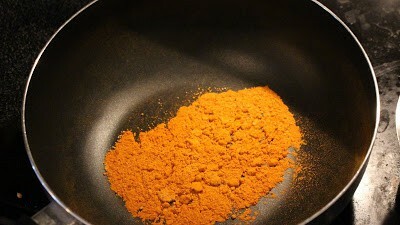 Now fry the turmeric powder and asafetida for few seconds. Transfer them to the bowl. 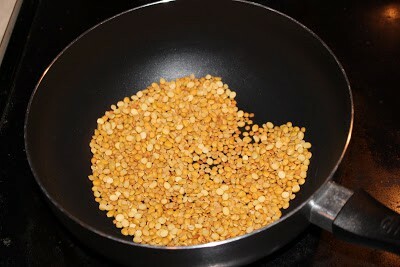 Next fry the fenugreek seeds until they are aromatic and golden brown. This goes into the bowl as well. 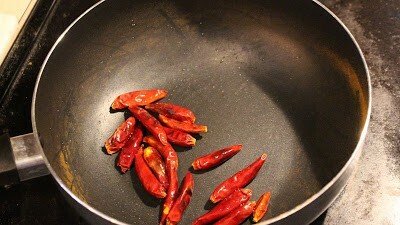 At last add a drop of oil and fry the red chilies until they are evenly fried. Transfer this to the bowl as well. 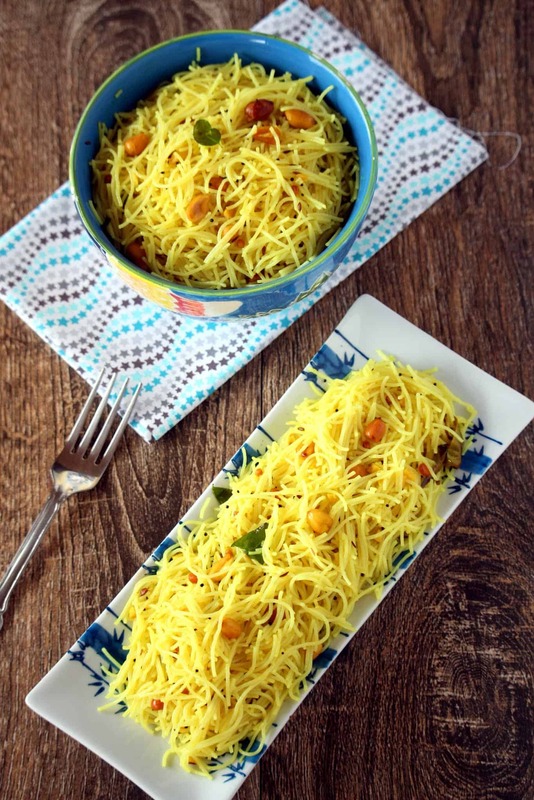 If using curry leaves, place them in a single layer in a microwave safe plate and microwave in intervals for couple of minutes until they are crumbly. Transfer this to the bowl with the rest of the ingredients. I did not use curry leaves. 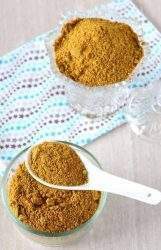 Let the ingredients cool down to room temperature and then grind them together in the blender to a powder. I didn’t grind it too smooth and left it a little coarse as attai told me. You can grind it smooth is preferred. Let it cool down for few more minutes after grinding and then store it in an air tight container. 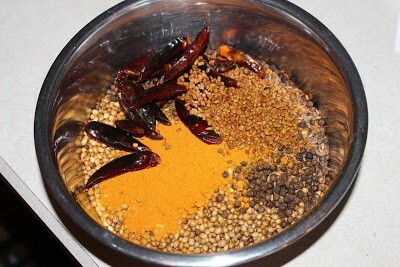 This yielded me about 2 cups of rasam powder. 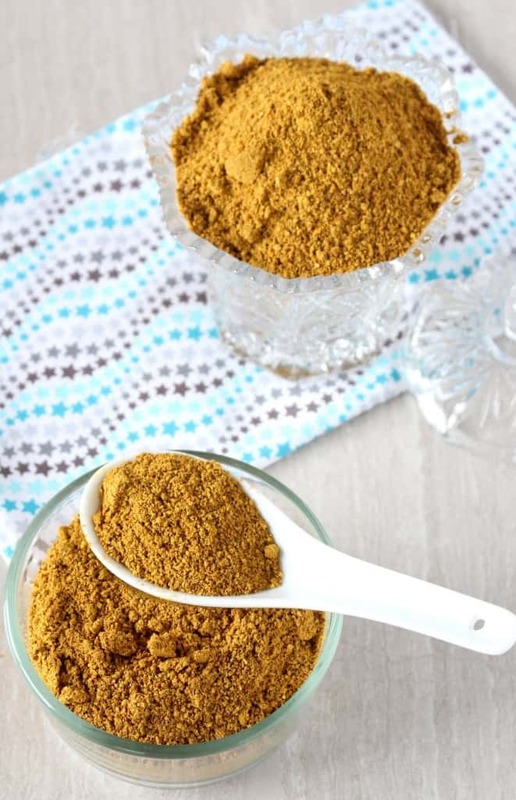 Delicious Homemade Rasam powder made with fresh spices roasted to perfection.